See more objects with the tag circles, women's fashion accessories, collapsible, women, tassels, portable, pleats, tortoise. 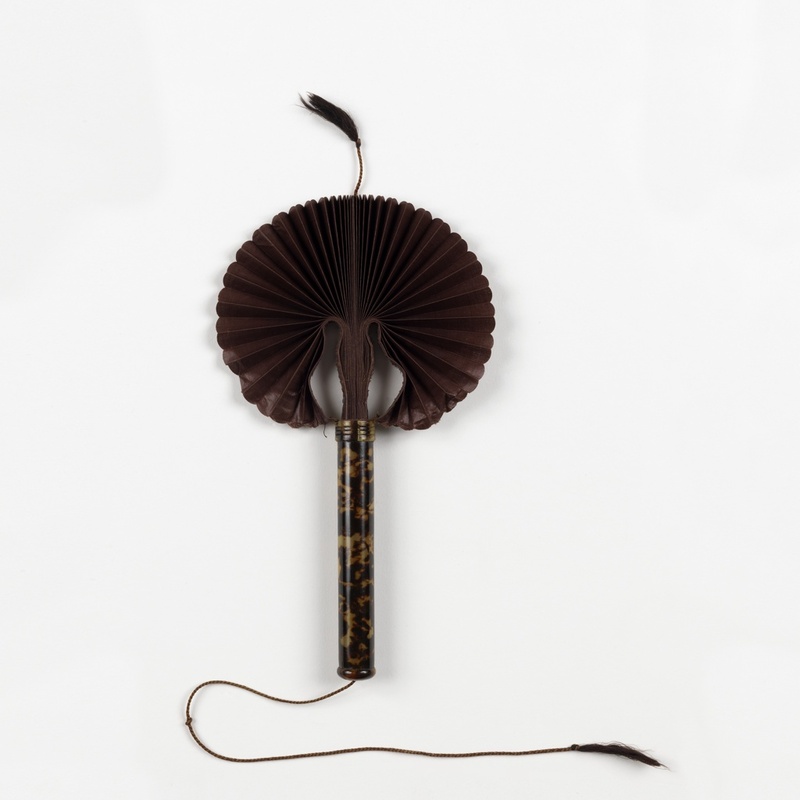 This is a Pleated cockade fan. It is dated 1870–90 and we acquired it in 1952. Its medium is glazed cotton leaf, tortoise shell handle, silk cord. It is a part of the Textiles department. 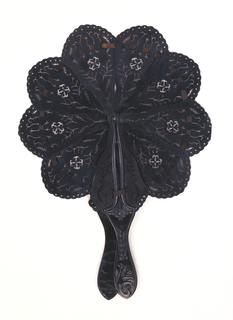 This object was donated by Mary G. F. Beer. It is credited Gift of Mary Goodrich Fitch Beer. 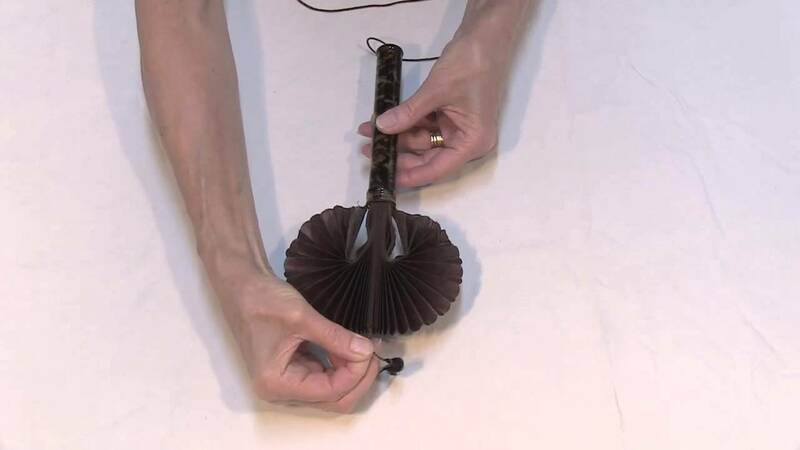 We have 1 video that features Pleated Cockade Fan (USA), 1870–90.